This enchanting destination invokes all the cliches of an Asturian village: a charming and unspoiled harbor town, Lastres boasts spectacular mountain scenery, winding cobbled streets, gorgeous beaches, great tapas bars, and a lively cultural scene. It is simply the perfect summer hideaway: a village that is both pristine and yet at the same time utterly authentic. Today, Lastres remains a star attraction in the majestic Asturian Costa Verde. The coastline was originally inhabited by ancient man, followed by the local Celtic tribes known as the Astures until the Romans invaded this part of northern Spain in 29 BC. Led by the First Roman Emperor Augustus, the Romans succeeded in subjugating the Astures, but never fully managed to conquer the mountainous territory along Spain’s northern coast. Asturias languished in certain obscurity for centuries, and it’s impossible to say exactly when Lastres was founded. What we do know is that in 722, a de facto independent kingdom was established in Asturias, called the Regnum Asturoum. Yet it was not until 943 that Lastres was mentioned in an official document. History records that King Ramiro II of Leon donated funds to the Catholic parishes of Asturias, including Santa Maria de Sabada, which was Lastres initial title. Right up until the 17th century, local fishermen were expected to pay a tribute towards the upkeep of the church, which stands intact today. In the 14th century Lastres and the Asturias region was integrated into the Kingdom of Spain – many of the era’s greatest explorers, sailors and aristocrats came from the region, and played a vital role in the Spanish court. However, Lastres’ true golden era was in the 17th century, when the village’s reputation as a major fishing center really exploded and vast fleets were built to harness the plentiful Atlantic bounty. A thriving industry supplied the markets of Castile y Leon and many fine mansions were built during this period. During the 18th century Bourbon dynasty and so-called ‘Age of Enlightenment,’ Asturias was one of the great centers of learning and produced several notable thinkers and reformers during the period. In 1757, the famous church of Santa Maria de Sabada was constructed, which was subsequently declared a monument in 1992 and is today one of the prettiest in northern Spain. Asturias would continue to play a defining role in the major events of the 20th century, not least the Spanish Civil War. In 1934, local miners initiated a strike against the incoming far-right Christian government, the Spanish Confederation of the Autonomous Right (CEDA), which developed into a major revolutionary uprising against conservative forces. At one point the revolutionaries controlled the region’s capital, Oviedo, and it seemed like they would consolidate their hold over the region. However, General Francisco Franco put down the rebellion, killing many Asturians in the process. Therefore, it’s hardly surprising that the region maintained a strong Republican bias during the Civil War, which was eventually won by Franco after fierce fighting across the country. In fact, Asturias was one of the last northern regions to be taken by the Nationalists during the battle of El Mazuco in 1937. Many citizens fled to neighboring France during the conflict to escape reprisals from the Nationalist forces, draining the region of its workforce and lifeblood. Franco’s victory in 1939 would ensure over 30 years of autocratic rule by his oppressive, ‘Movimiento Nacional’ government – Asturias during this period was simply referred to as “The Province of Oviedo,” and was in a sorry state indeed. The Civil War had ruined the Spanish economy and up to 200,000 people died of starvation during the initial years of Franco’s rule, a period known as Los Años de Hambre (the Years of Hunger). Moreover, his grip on society was absolute: strikes, divorce, contraception, and many cultural activities were deemed illegal. His death in 1975 heralded a new era of prosperity and hope for the citizens of Lastres, and indeed for the people of Spain. 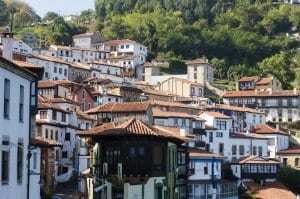 The region was granted autonomous status in 1981 and since the early 1980s, Asturias has gone from strength to strength. And so after much hardship and upheaval, Lastres is today a fitting symbol for 21st century Asturias – proud, optimistic, hardworking and incredibly diverse. Indeed, one might argue that the region is a microcosm of Spain as a whole, cramming into its borders everything from snowy mountains to sandy beaches, humble tapas bars to avant-garde restaurants. Yet, above all else, this is a part of the world largely untouched by mass tourism, meaning that at the right time of year, you will have Lastres virtually to yourself. It is simply one of Spain’s last great unknown treasures and a must-visit destination for any lover of great food, diverse scenery and the warmest hospitality you will find anywhere – Bienvenidos a Lastres! Asturias, like most Spanish regions, takes food and drink very seriously indeed. Several of Spain’s top Michelin restaurants are to be found in the region, venues which make full use of the abundant fresh fish and seafood to be found in the Atlantic. Yet, at its heart, traditional “cocina asturiana” is defined by its heartiness and honesty, rather than technical wizardry. The “fabada” stew – a mixture of big white beans and smoked meats and sausage – is a testament to that fact. Deep-fried monkfish, “empanada” (a savory pastry filled with tuna or cod), and a surfeit of delicious local cheeses are just some of the gastronomic treats in store. 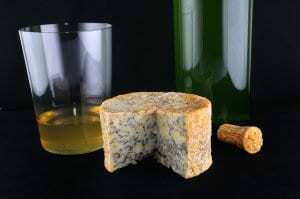 Indeed, cheese is a very big deal in this part of the world – from the Asturian Mountains come the exquisite and pungent blue Cabrales and Picon, while Los Beyos and Gramoneu have to be tasted to be believed. In terms of local restaurants, Lastres boasts a surprising number considering it is a small fishing village. Casa Eutimo on Calle San Antonio would be a good place to go searching for hearty, Asturian cooking, while Bitacora on Calle Real does great seafood tapas. But what would a good Asturian drink with all this wonderful food? Well, Asturias, unlike Galicia, is not celebrated for its wine production, although most restaurants will have a list of Spanish wines, particularly the whites from neighboring Galicia. Instead, Asturias is renowned for making the finest cider in Spain, which must be served in the traditional way: the cider is poured into the glass from a great height, the oxygen it acquires on the way down giving the drink an essential kick of freshness. Top producers include Tierra Astur and Los Pomares. The village’s undisputed highlight is the Roman Catholic Church, an elegant mix of baroque and neoclassical architecture and style. The main altarpiece is particularly beautiful, with its ionic columns, as is the nave and bell tower. These spectacular mountains were supposedly christened the ‘Peaks of Europe’ by returning sailors for whom this was often the first site of their homeland. The range is today Europe’s biggest national park and easily accessible from Lastres. Expect deep winding gorges, verdant valleys and an astounding amount of flora and fauna. Situated west of Lastes, Gijon is the province’s largest city and a must-visit destination. The old town is particularly delightful, located on a small isthmus and headland and contains one of the region’s most beautiful squares – Palacio de Revillagigedo.